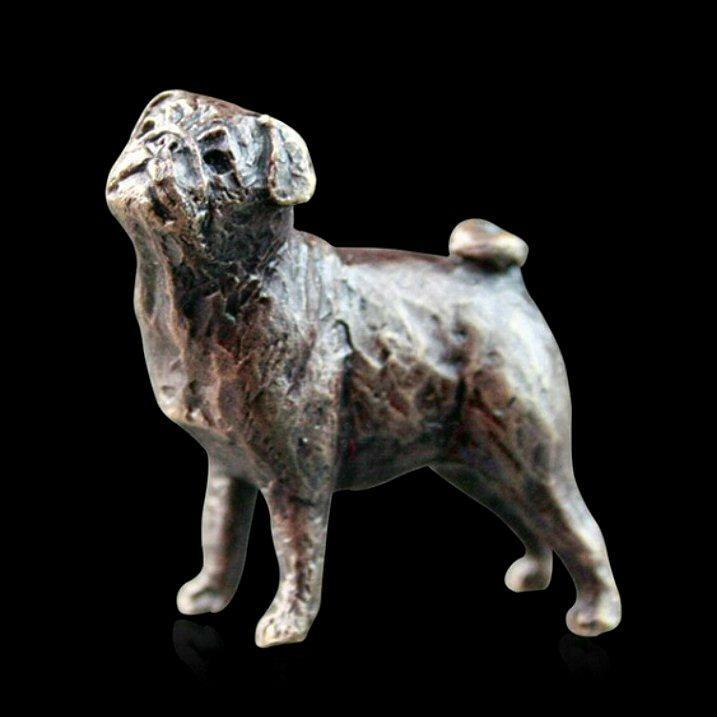 A pug, beautifully crafted in bronze from the Butler and Peach sculpture collection - hand finished with a traditional patina. Originally bred in China to be lap dogs, pugs thrive on human companionship and with their good natured temperament and social disposition make popular pets. The fine detail on this sculpture belies its small size - an ideal small gift for any lover of these charming dogs.